I have spent a lot of time over the past 40-something years working with students who are nonverbal or minimally verbal and teaching alternatives to speech or ways to augment speech. Back in the 1970s we taught signs/ sign approximations to kids – and adults – as an alternative mode of communicating. But we soon discovered that outside of the school or home environments, they were just not functional. The field of AAC has changed a lot over the years. Some of what has emerged from the research over the past few decades are the crucial steps we need to consider when choosing and implementing AAC. Begin teaching AAC use by modeling it. Kids who speak have millions of models of words being spoken to them that they can copy, try out, and use. Kids who use pictures to communicate usually have 0 models of people using pictures to communicate from whom to learn. 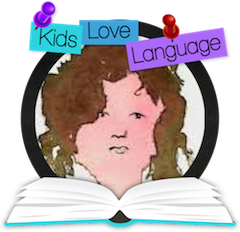 So, as Carol Goosens, et al, noted back in the 1980s we need to provide those models; using Aided Language Stimulation to provide students with an understanding of what the symbols mean and how to find the ones you need for a specific topic or message. Keep vocabulary stable. Symbols/words should stay in the same place all the time. By having pictures that move around on velcro and are not always in the same place or, worse, fall off and get lost, we actually make learning to use AAC more difficult. The more cognitive energy the student has to use up trying to locate the symbol he wants, the less he has available to construct the message. This often leads to frustration. And we all know where frustration takes us. Additionally, much research has been done on the impact of motor planning on use of AAC. For many of our students who use peripheral vision and are generally inattentive, knowing where a specific symbol/word is all the time, makes ‘reaching for it’ faster and easier – and more consistently accurate. Have fun communicating with your students, and…..keep on talking! Learn more about AAC at http://kidzlearnlanguage.blogspot.com.